Yesterday I started examining the career of Hollywood siblings. The idea was to see if there was any pattern. Do older siblings achieve more than their younger brother or sister? Is the sister always outshining the brother? I couldn’t find any definitive proof yesterday so decided to branch out my search further with five more pairs of siblings and their respective careers. Immediately you’d think Jake Gyllenhaal. He is the bigger Hollywood star and has had plenty of huge movies. It is only recently, especially with Nightcrawler, that Jake’s star has risen to the top for the right reasons though. Maggie has always had the better, more credible movie career though. Never tempted to go the huge, blockbuster route, her biggest film so far was taking the role of Rachel Dawes in The Dark Knight. She has started to move towards the Hollywood machine, with White House Down being the next explosion filled movie but Jake is taking the more interesting roles at the moment. Neither can claim to have a great career but Owen Wilson is the bigger and more successful of the two. Owen is back in the limelight with the Zoolander sequel and has flirted with more indie movies recently, like She’s Funny That Way but it will be his comedies that he will remembered for and will always be able to fall back on. Luke’s career has stalled slightly, being much more of a support actor than a leading man. It means that he stars in many movies but not necessarily in memorable roles. His most recent, larger role was is Adam Sandler’s Ridiculous Six. I guess the winner is a landslide here. Charlie Sheen is arguably the more famous and as the two stars were rising. Estevez was a prominent member of the Brat Pack while Sheen was going his own way, producing memorable hits like the Hot Shots films and Wall Street. Slowly, Sheen started to become a parody of himself, almost playing himself in newest sitcom Anger Management. While his brother self-destructed, Estevez stayed out of the limelight and started to carve a respected career behind the camera, first in TV, and then with big screen movies Bobby and The Way. Estevez seems to be growing in stature while Sheen may be on a steady decline. 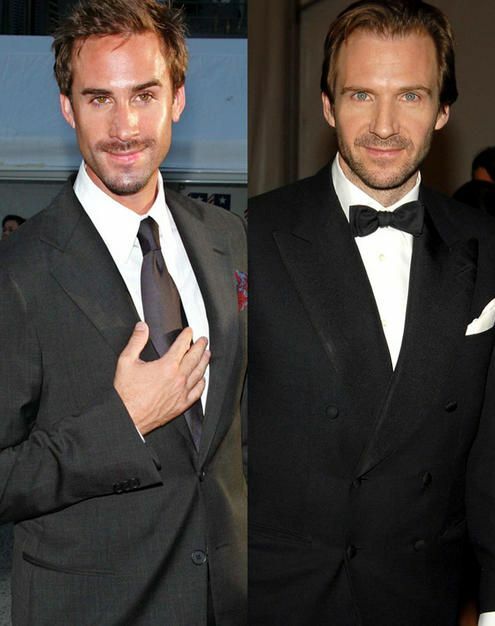 The Fiennes are both respected actors in their own right. Their careers have both gravitated towards The Bard in some way or another, with Ralph taking on Shakespeare in Coriolanus and Joseph actually playing him in Shakespeare in Love. Ralph has begun to move further into the Hollywood machine where Joseph has taken a step into the small screen. Ralph was seen recently as the new M for Bond and memorably as Voldermort while Joseph is a TV star, with Flashforward and Camelot carrying his career forward to American Horror Story. At the moment, Ralph is ruling the movies. Rooney Mara started her career quiet quietly, only really breaking out in The Social Network, which then led to a very daunting, haunting and impressive role as Lisbeth Salander in The Girl with the Dragon Tattoo. Kate has had a different approach. Her biggest roles have been supportive rather than starring, from Transcendence to TV drama House of Cards. Unfortunately, with success comes stinkers and being attached to the failed reboot of Fantastic Four won’t have helped her. It is close but I think Rooney Mara has just pipped the post. Her career is more leading lady and not so damaged at this current time. Overall, it hasn’t helped us come to an overall outcome here either. Five more siblings and mix of the older taking the win against the younger and vice-versa. I still have three more siblings and my overall findings (which seem pretty inconclusive and pointless). If you have any suggestions for siblings before tomorrows final post, drop me a comment and let me know. It may help me come to some conclusive evidence. Previous Previous post: Sibling vs. Sibling: Who does it better?